Earlier this year SeaTUG was pleased to highlight Bora Beran presenting an introduction into how we can use R's rich open source framework to enhance our vizzes, improve our analyses, and push Tableau to it's limits. His presentation generated a lot of discussion and certainly provided new inspiration to most of our audience who had not been exposed to Tableau and R to date. Bora was kind enough to provide links to his presentation materials. In addition to these materials, he has numerous other examples and write-ups on his blog (http://Boraberan.wordpress.com) page or the OneDrive (link above). 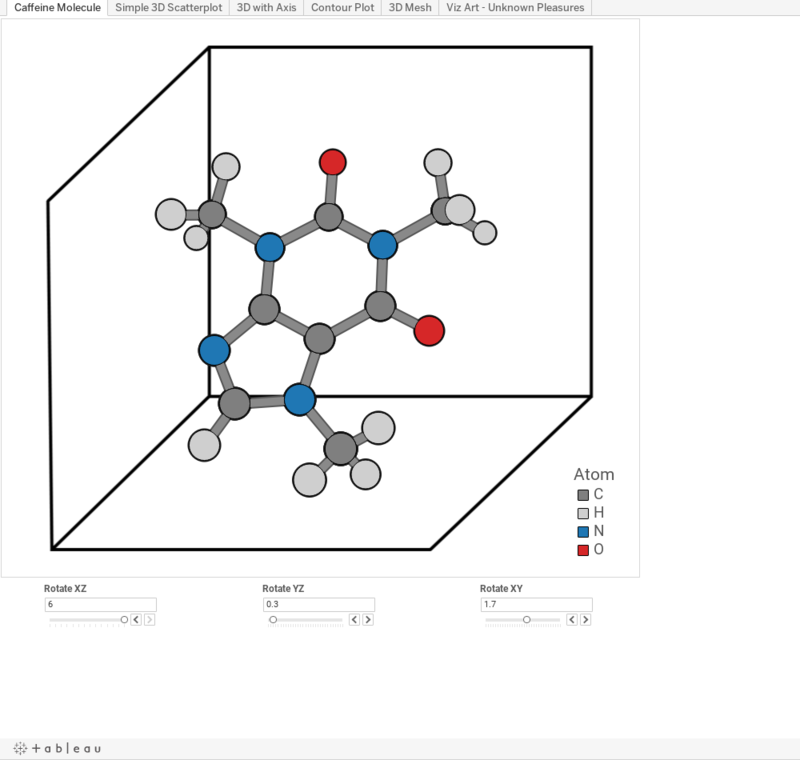 Oh, and check out his Tableau Public profile for other inspiration like his 3D examples like this caffeine molecule.